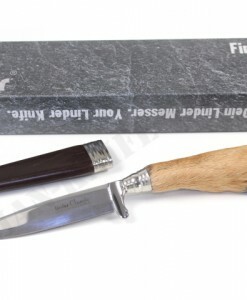 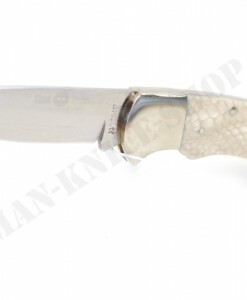 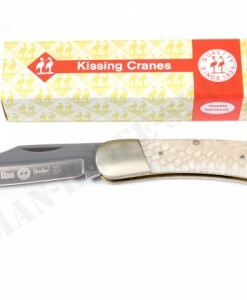 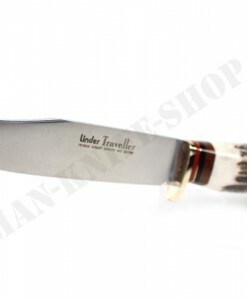 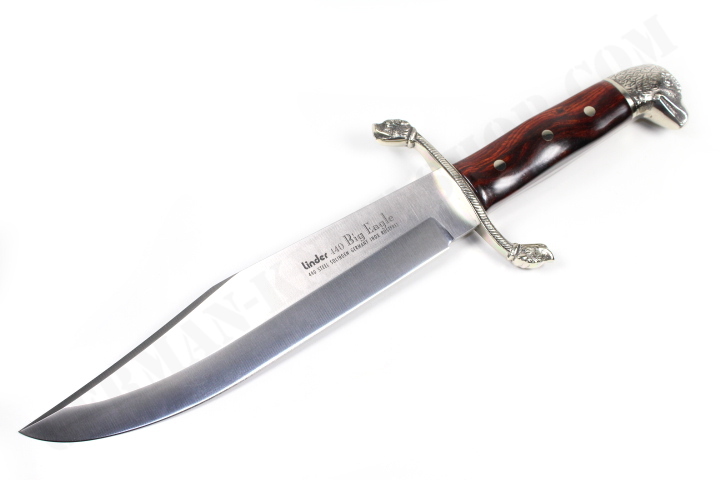 Here we offer a superb German “BOWIE / HUNTING”-knife handmade by Carl Linder / Solingen / Germany . 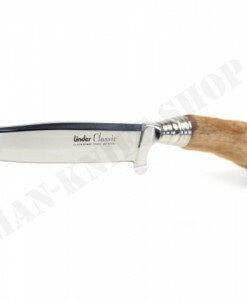 Great traditional styling makes this big knife a real …real standout. 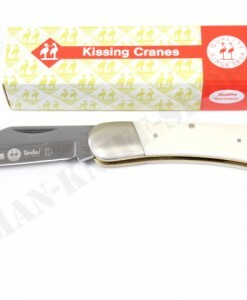 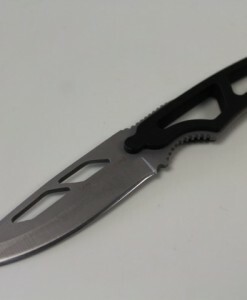 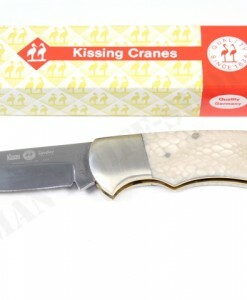 15-1/2″ overall length with a 9 3/4″ blade. 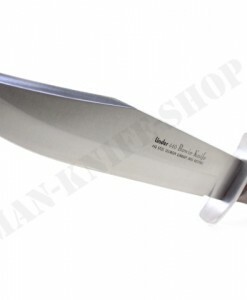 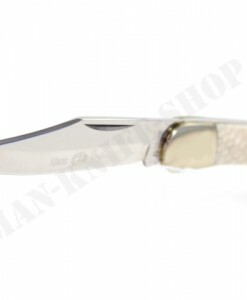 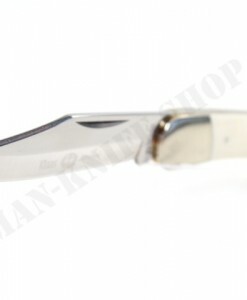 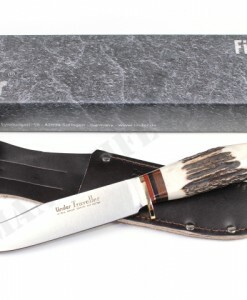 Bowie blade is handmade of 440 A stainless steel. 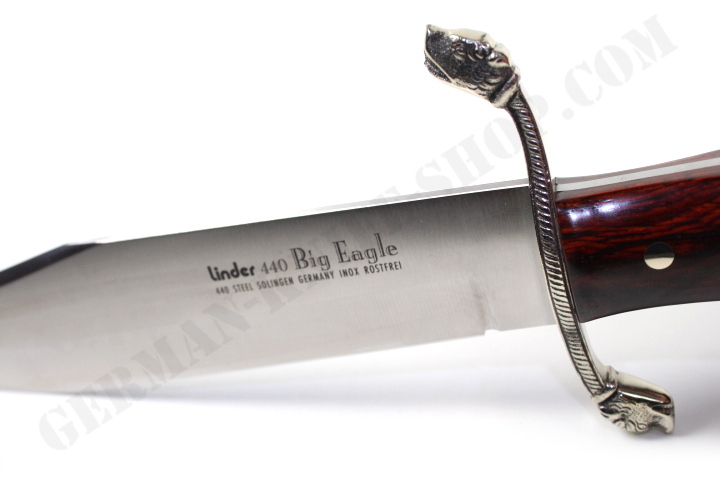 The both dogs, the eagle and the guard are made from new silver. 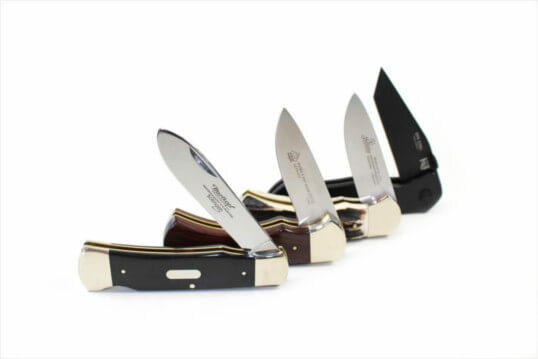 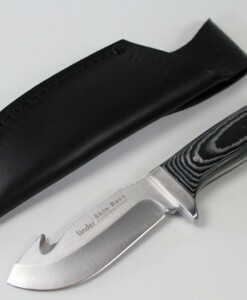 440 STEEL SOLINGEN GERMANY INOX ROSTFREI. 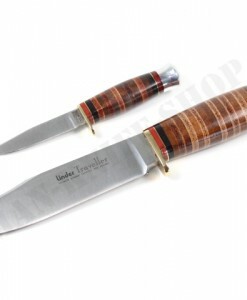 High quality & extra choice Cocobola wood handle. 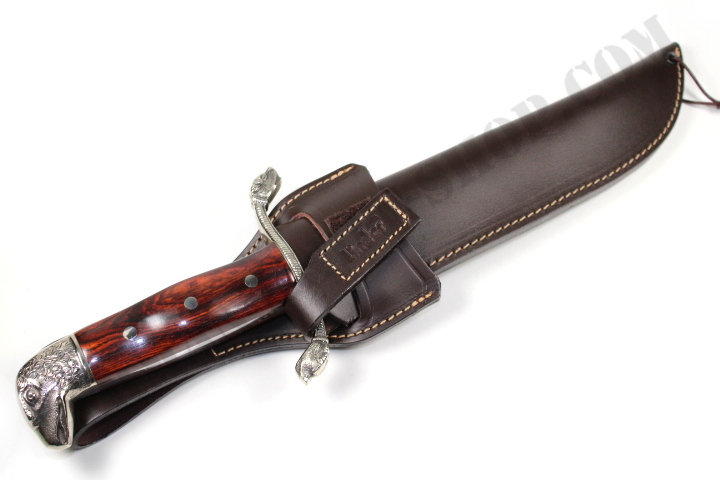 High quality brown leather belt sheath. 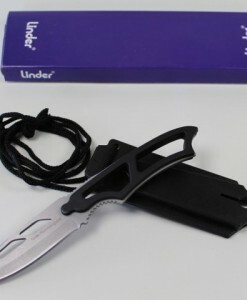 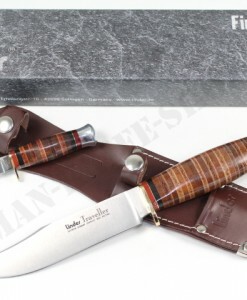 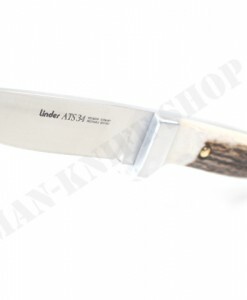 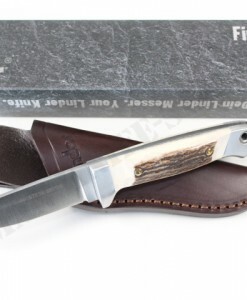 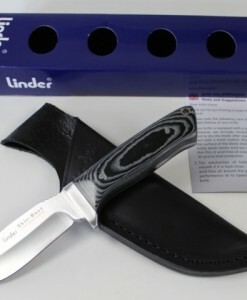 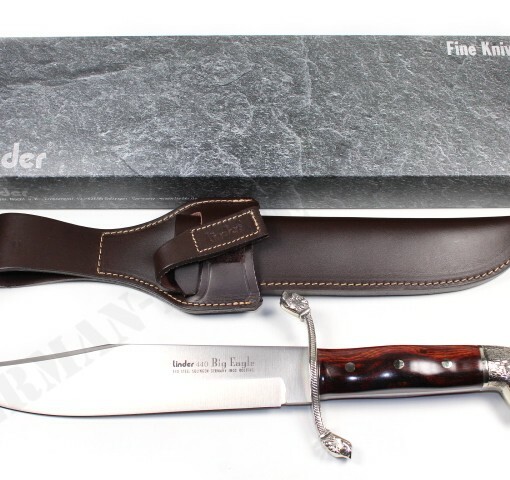 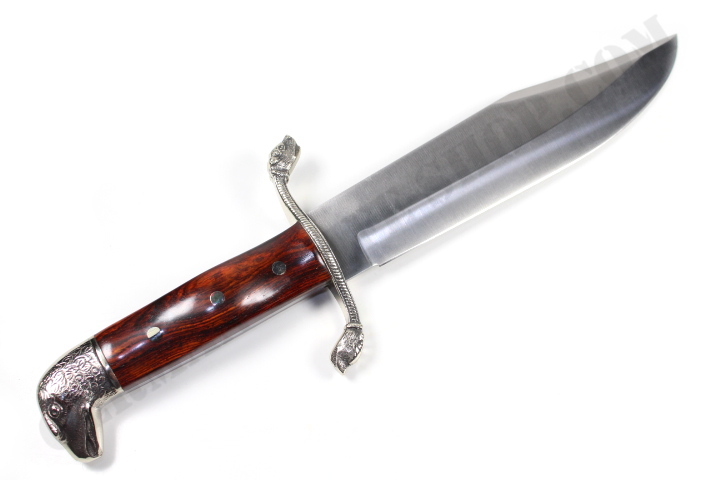 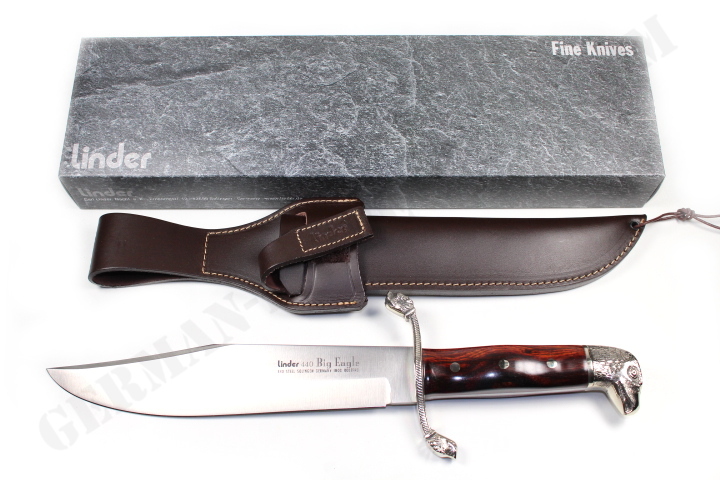 You will be absolutely impressed of this Linder bowie collectors knife. 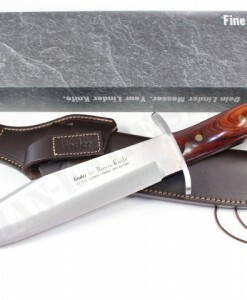 This fantastic bowie knife has an excellent balance !